Over 150 participating blogs are offering a book related giveaway and we are all linked up together so you can easily hop from one giveaway to another. 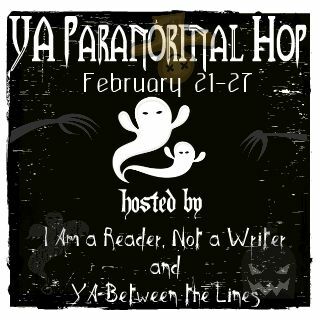 The hop runs from February 21st - 27th. It would probably be New Moon by Stephanie Meyer, my favorite book in the Twilight series. The Infernal Devices series by Cassandra Clare would be a close second! Ooh there are wayyyy too many! My first fave/love was Demon in my View by Amelia Atwater Rhodes, so I'll just go with that! Although I have plenty of NEW faves!! There're too many to count :D I love all that I've read before mostly. Uh, pretty much everything by Richelle Mead! It'd probably be something by Terry Pratchett. Thanks for the giveaway. Soul Screamers series by Rachel Vincent. Hmmm... I really liked the Paranormalcy series by Kiersten White. My favorite is Twilight. I love Edward! I recently read The Unbecoming of Mara Dyer and I loved it! I also love the Infernal Devices and the Lux series! I love Vampire Academy <3! The Vampire Academy series! Thanks for the giveaway!! There are so many to choose from! I love The Host. Anything from The Infernal Devices and/or The Mortal Instruments! The Night World series by LJ Smith. Thanks for the giveaway! Hard choice, but I love the Vampire Academy series. Thanks for the great giveaway. Adult-Dark Hunter series by Sherrilyn Kenyon. Oh why do you guys always ask this question? I don't want to pick just one! I love reading series and I've read a lot! VA by Richelle Mead is one of my favorite series, along with the Bloodlines series and a lot more. Thanks for the great giveaway! I love the Bloodlines series by Richelle Mead :) Really good books. I like the Twilight series. Thanks for the giveaway! Right now i am a huge fan of the Bloodlines series by Richelle Mead. Thanks. The Vampire Academy, Mortal Instruments, and Infernal Devices series! The Soul Screamers series by Rachel Vincent! I would definitely choose The Bridge of RollRock Island by Margo Lanagan. It sounds fascinating. There are so many great titles out there....I actually have to say that one of my favs is The Pledge by Kimberly Derting. Also OF COURSE..anything from the Mortal Instruments series. My fave YA paranormal is Daughter of Smoke & Bone by Laini Taylor! I loved the Gemma Doyle trilogy and Shiver! Since we're going with YA here, I'll list Ballad and Lament by Maggie Stiefvater, the Modern Faerie Tales series by Holly Black, and the Iron Fey series by Julie Kagawa. Love the Covenant series and Sweet Evil. Thanks!